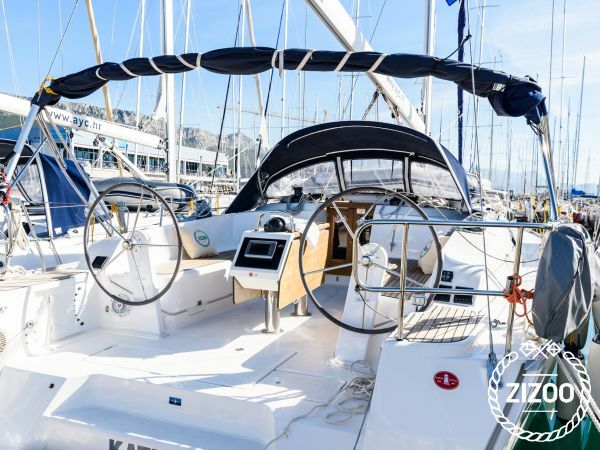 Book this Bavaria 46 Cruiser in Kastela and experience the joys of sailing in 2015’s “European Yacht of the Year”. Featuring Bavaria’s classic designs, comfort and affordability, the boat manufacturer really stepped up its game when it introduced the 46 in 2015. Suitable for up to 9 guests, this charter yacht was designed with comfort in mind. With 4 cabins and 3 bedrooms, you and your crew will have plenty of room to relax day or night while discovering the beautiful coast of central Dalmatia on the perfect yacht charter holiday in Croatia.